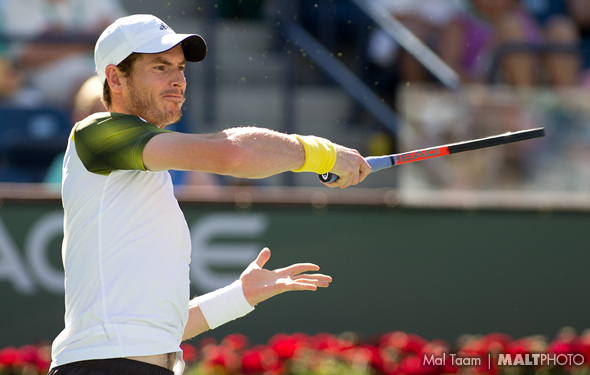 After he was seriously hurt at the end of the summer of 2013, Murray had to have a surgery and it took him a while to rediscover his form. Against Novak Djokovic, it took him two years, burdened by eight straight losses. But in the final of Montreal, Murray was esquire. It took more than three hours, and he could have folded when the match grew tight, but he kept trying, coming into the net, swinging his forehand and, as always, he painted his backhand. For the first time in 2015, he was the dictator; he decided which way he should go and he didn’t panic. Now the Brit has a legitimate shot to win the US Open again, and for the first time on hard courts this season, Murray is just as smart as the Serbian is. The No.1 finally lost one of the big hard courts, which is pretty unusual, given that he has out-hit and out-stroked everyone on tour, winning the Australian Open, Indian Wells and Miami. But this time, the reigning Wimbledon champion was a little bit off in Montreal, nearly losing against Ernests Gulbis and then going down against Murray. Djokovic had hurt his sore right elbow, which affected him, but still, he was pretty close against Murray, even if his return game was not spot on. Really, it doesn’t matter, as he has won so many tournaments over the past four years. However, the question is, can he win the US Open? He has won it only one time, in 2011. Perhaps the eight-times Grand Slam champion is a little nervous on NYC, or in Cincy this week. Props to the Japanese, who smoked Rafa Nadal. But how in creation did he get hurt once again? Nishikori won Washington, grabbing five matches, which included three setters. But then he won three straight setters in Montreal until he played Murray in the semis, and he was destroyed, saying he was tired. Later, he said that he has a hip injury and he pulled out of Cincy. He is a terrific player and when he is on, he can take down just about anyone. But, if he wants to win a Slam, he has to play very clean and directed, and maybe, just maybe, be can win the USO. There seems like a million of fine French male players like Monfils, Simon, Tsonga and Gasquet, among others. Chardy was on fire and didn’t give in, up, ending John Isner 7-6 in the third set. He did manage to lose against Djokovic rather quickly in the semifinal, but the veteran won as good he possibly could get. Out of nowhere, Gulbis rallied, winning three matches for the first time in 2014 Roland Garros. He was so close beating Djokovic, holding two matches points, but he was clearly nervous and he blew it. But at least he is back on track – we think. Yes, he was hurt very badly in the second half of the year in 2014, but he says that he is 100 percent now, so why is he so lost? He isn’t aggressive enough and he isn’t returning deep, let alone his spotty backhand. He was flat against Nishikori. The US Open champion was saying that he is improving daily, but in the past five months, he is unpredictable. That is what occurred against Bernard Tomic, who took him out in the first round at Montreal. At this point, Cilic has not chance to win the USO again.